Advice Home > Autism > The Facts: Can Vaccines Cause Autism? The Facts: Can Vaccines Cause Autism? Approximately one out of every 68 children have autism spectrum disorder. However, it is 4.5 times more prevalent in males than in females. One out of 42 boys are found to have some form of autism, and one in 189 girls are affected with this condition. The safety of thimerosal, a preservative used in childhood vaccinations and influenza shots. The safety of the measles, mumps, rubella (MMR) vaccine. 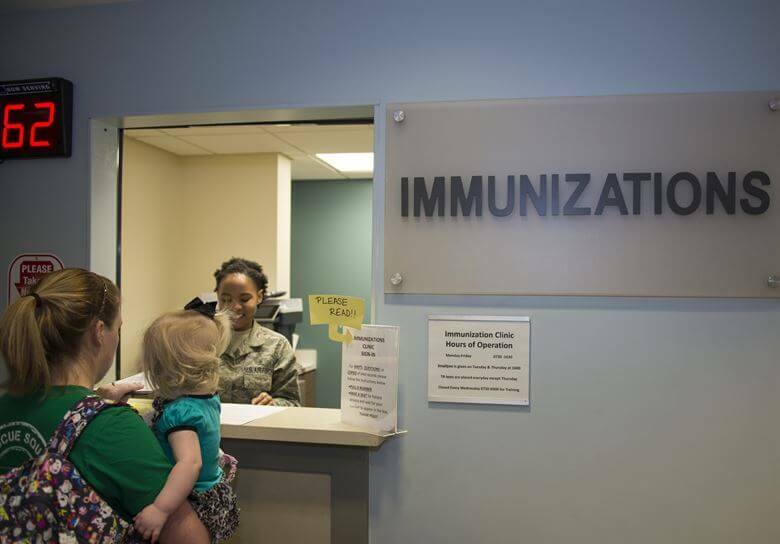 Children's immune systems may be overwhelmed from too many vaccinations at one time. Since then, there has been many studies and research done on all of these topics and others to determine if there is any truth to these concerns. The studies to date have mostly found that the vaccinations are still a safe way to prevent serious illnesses in children. Vaccines are available in formulas that do not have thimerosal. Many studies done by experts both in the United States and other countries continue to claim that vaccines that contain thimerosal are safe. Thimerosal is a preservative that prevents bacterial growth in vaccines. All vials of multi-dose vaccinations have to have a preservative. Using single-dose vaccinations and reformulation of the vaccines have caused the use of thimerosal to decline. So, what is thimerosal? It is a preservative mixture containing ethyl mercury, which is needed to prevent fungal and bacterial growth in certain vaccines such as those multi-dose vials of inactivated vaccines. For instance, the whooping cough (pertussis) vaccination contains thimerosal to prevent bacterial and fungal growth in these vaccines. The preservative is added during the manufacturing process to help keep the doses safe. This preservative has been used since the 1930s for these and other medications and vaccinations. Thimerosal prevents contamination by fungal and bacterial growth that can be caused by repeatedly using the multi-dose vials that are so widely used in vaccination inoculation. 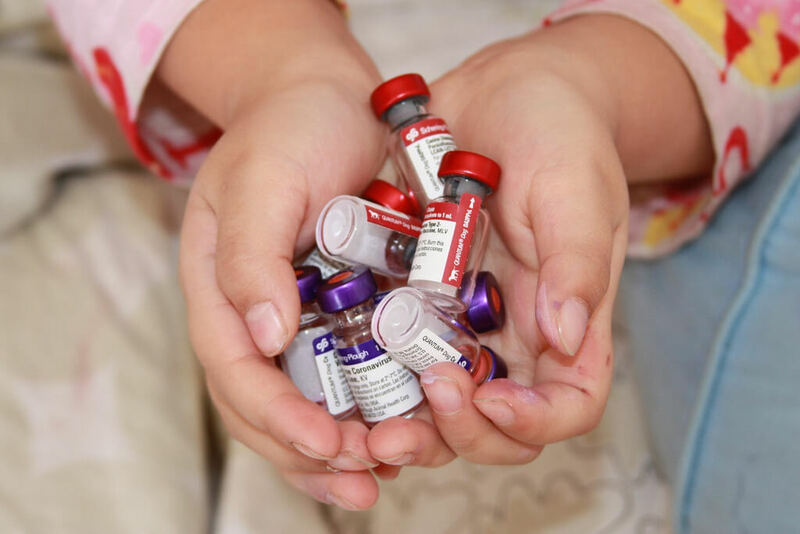 The multi-dose vials are used because they take up less space, lead to less waste, and keep the costs of immunizations down. To date, there have been many scientific studies done about thimerosal use in vaccines by the American Academy of Pediatrics, the European Agency for the Evaluation of Medicinal Products, the United Kingdom Committee on Safety of Medicine, the World Health Organization (WHO), and the United States Institute of Medicine. So far, all of these organizations have determined that thimerosal does not pose any significant health risk to children when used properly. On the other hand, according to other studies, autism cases started being diagnosed in children born during the 1930s, which is when thimerosal was used in the production of vaccines. Thimerosal contains mercury, which has been proven to cause significant health risks to infants and children. In fact, mercury can cause health problems in adults as well. Some of the things mercury can do is damage to the nervous, digestive and immune systems, lungs and kidneys, and may even be fatal. Children exposed to mercury may have problems with fine motor skills, language, attention, memory, visual-spatial skills, and cognitive thought. According to experts, thimerosal contains 49.6% mercury by weight. The mercury levels in 20 infants were tested both before and after vaccinations were given and there was a significant increase in mercury levels in the infants after the vaccinations. In research done in a separate study done by the FDA's Center for Biologics Evaluation & Research (CBER), the amount of mercury from thimerosal in vaccines were measured. According to this research, by the time an infant is six months old, they would receive 75 micrograms of mercury from three doses of the DTP vaccine, 75 micrograms of mercury from three doses of the Hib, and 37.5 micrograms from three doses of the hepatitis B vaccine. That is a total of 187.5 micrograms of mercury. The highest safe amount of mercury in a baby of that age is 1.6 micrograms, according to the Environmental Protection Agency (EPA). In fact, thimerosal was banned in many countries more than 30 years ago for that reason when a Russian study found that mercury in thimerosal caused brain damage, tubular necrosis, coma, and death. Mercury is so toxic, in fact, that the Department of Defense classifies it as a hazardous material that can be fatal if absorbed, inhaled, or swallowed. Why, then would they use it in immunizations to use on babies and children? Eli Lilly and Company concluded that thimerosal has a low level of toxicity for man. However, they are the drug company that introduced the preservative in the 1920s, and this is a study they paid for and had their doctors conduct. The Institute of Medicine (IOM) recommended that the makers of the immunizations remove all the thimerosal from every dose in 1999, but they are still using the preservatives in multi-use vials of the immunizations and flu shots today. Not only are these used on children and adults, but they are also used on pregnant women in all stages of their pregnancy. Another complaint from parents and researchers is the measles, mumps, rubella (MMR) vaccine. There is considerable concern because the symptoms of autism spectrum disorder start showing up when the child is about 18 months old, which is when the first MMR vaccination is given. Although many doctors and other experts claim the reason for this anomaly is because the symptoms are just becoming noticeable at that age, others believe that it is the MMR vaccine itself that is causing the autistic symptoms and consequent damage. Research done in Britain in 1997 found suggestive evidence that behavioral problems, including autism spectrum disorder symptoms, were prevalent in children shortly after getting their MMR immunizations. 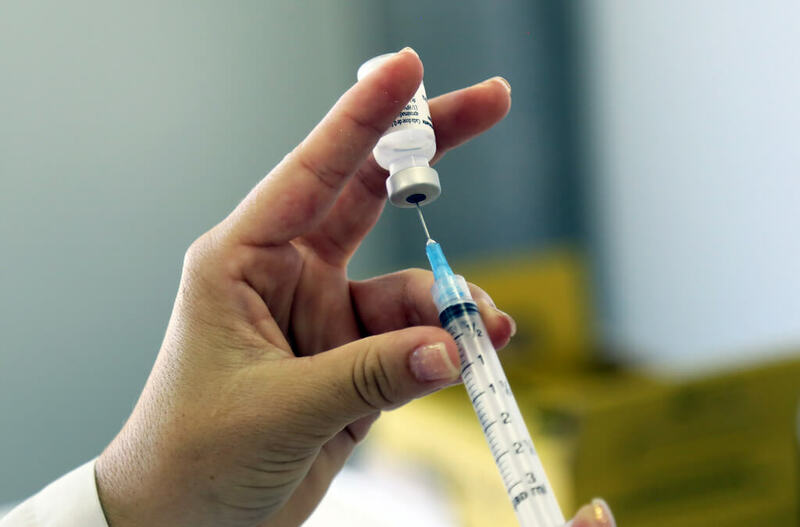 The research suggested the need for further research to determine if there was indeed a connection between the MMR vaccine and autism spectrum disorder. However, the research done subsequently has neglected to find a causal relationship between the two. The American Academy of Pediatrics have found other links to the two but concluded that it was possible that it was a viral infection caused by the vaccine that invaded the central nervous system. This, in turn, caused an autoimmune response that ended up producing the damage to the brain that caused autism. However, no further studies showed proof of this and the research continues. 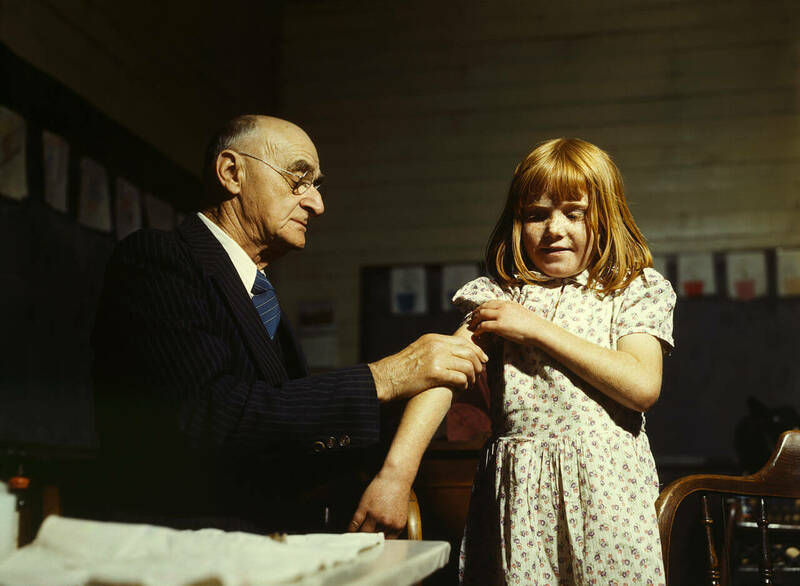 Both the National Institutes of Health and the Center for Disease Control agree that there is a great need for independent group studies on the subject and other vaccination safety issues. These two agencies contacted the Institute of Medicine and the Immunization Safety Review Committee to conduct more studies. While the studies continue, the research done so far has suggested that there is no connection between the immunizations and the prevalence of autism spectrum disorder in children. Beginning in the 1940s, the first cases of autism spectrum disorder began to be diagnosed, which was shortly after the use of thimerosal began being used as a preservative in immunizations. In the early 1990s, the beginning of what was called the autism epidemic was recognized. It was during that time that the rate of autism spectrum disorder increased from one in 2,500 children to one in 500 children, which is an increase of 500%! Although the Centers for Disease Control denies that there is a connection, there is no other explanation for such an increase. A man by the name of William Thompson, a whistleblower from the Centers for Disease Control, admitted that he and other employees left out statistically important information from a study done in 2004 by the Centers for Disease Control. That study is one that was used to support their claim that there was no causal link between the vaccinations and autism spectrum disorder. When the study was reanalyzed, the results showed a higher incidence of autism if the MMR vaccine was given before three years of age. Other evidence that the immunizations may have caused autism includes the awards given to families by the National Vaccine Injury Compensation Program. For example, approximately $1.5 million was given to the family of Hannah Poling for the vaccination's role in her diagnosis of autism. According to a story written by TIME magazine, there was no denial that the court decided to award these damages to the Poling family and no comments by the Centers for Disease Control or other agencies concerning this matter. The fact is that there is still so much more research to be done and many who do not want to hear the answers. While it may be easier to blame the immunizations for a child's autism diagnosis, it may be that some parents are just trying to cling to the hope of a cause for this disorder when there is none. Or, there may truly be a connection between these immunizations and autism spectrum disorder. In the end, the cause of autism is still a mystery. While some lean toward genetic predisposition, others still claim it is the thimerosal in the vaccines that is causing this disorder to affect so many children. However, what we do know is that there is help in treating autism spectrum disorders. It has been proven that therapy, especially cognitive behavioral therapy and sensory processing, is successful in helping autism spectrum disorders. Because many children with autism spectrum disorder are resistant to change and to meet new people, online therapy has become a lifesaver to those parents who are having difficulties getting their children to respond favorably. BetterHelp.com has online therapy available 24 hours a day, seven days a week and you do not even need an appointment or even have to leave your house. Give it a try today. Does My Child Have Autism Spectrum Disorder?